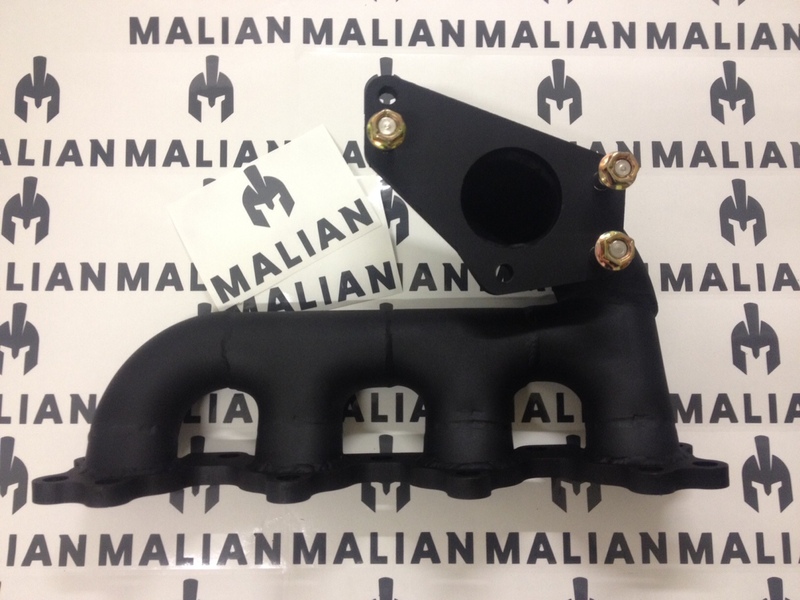 This exhaust manifold allows you to bolt the TD04 or the TD05 turbo from the Subaru Impreza onto the MX5. 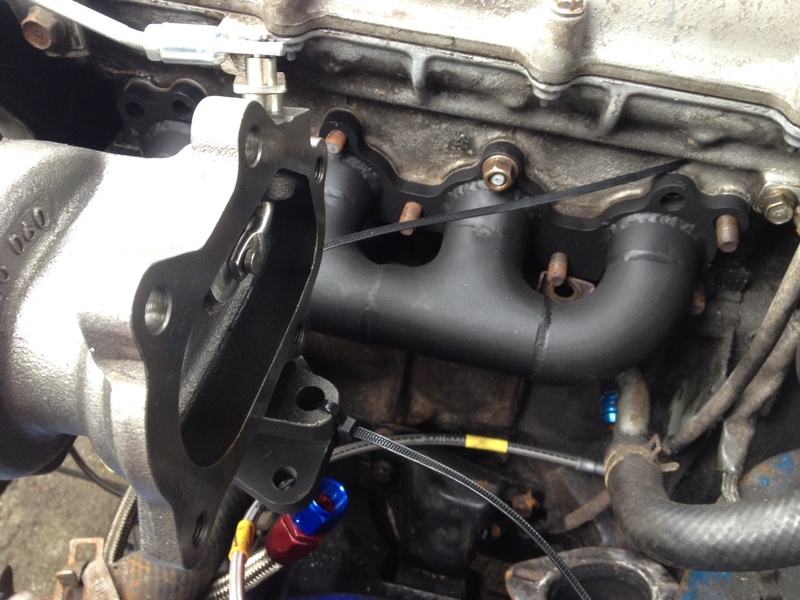 It is made from 10mm mild steel flanges with a 3mm stainless steel tube and is a log type manifold which is better for road use because it give the turbo a lower spool RPM, if you go over 300BHP then you might find this manifold is restrictive at higher RPM. 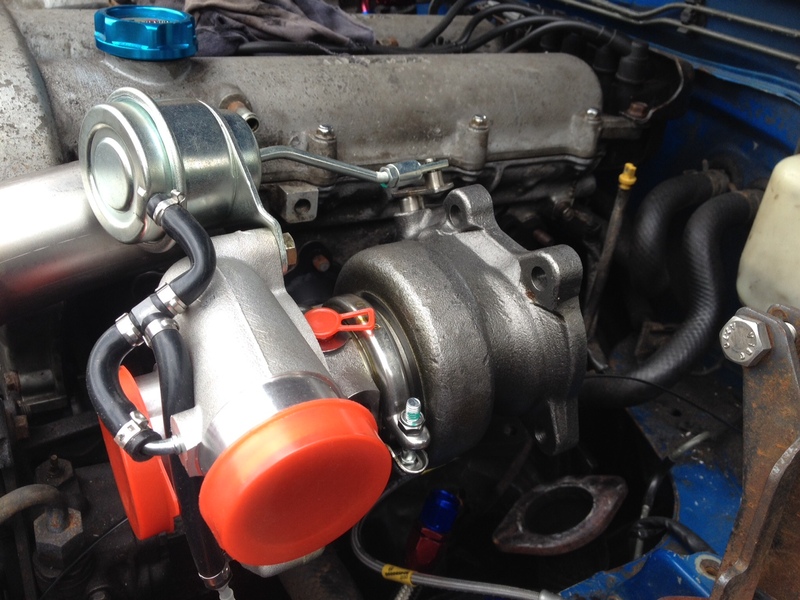 The TD04 is a great choice if you are building a road going turbo MX5 and the TD05 is more suited to the track. The whole manifold has been TIG welded so the chances of this ever failing are virtually zero. 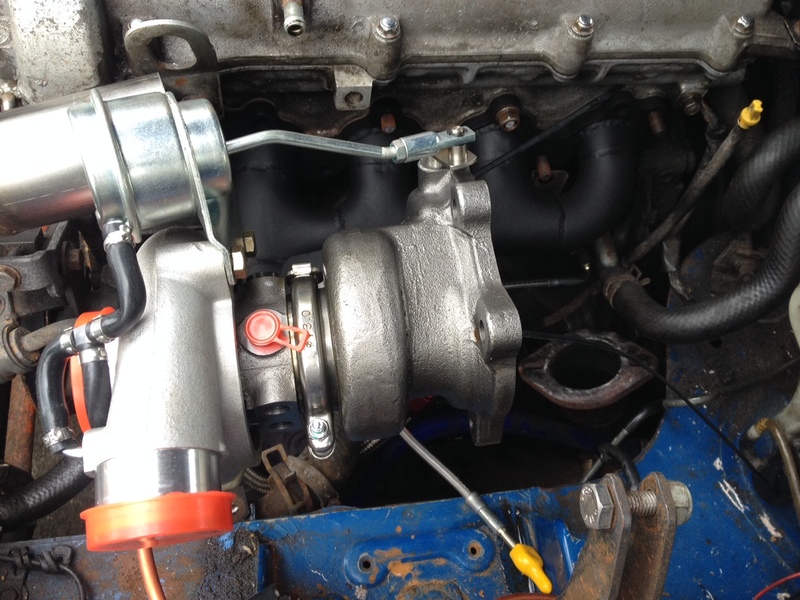 It will fit on the Mk1, Mk2 or Mk2.5 with the 1.6 engine. 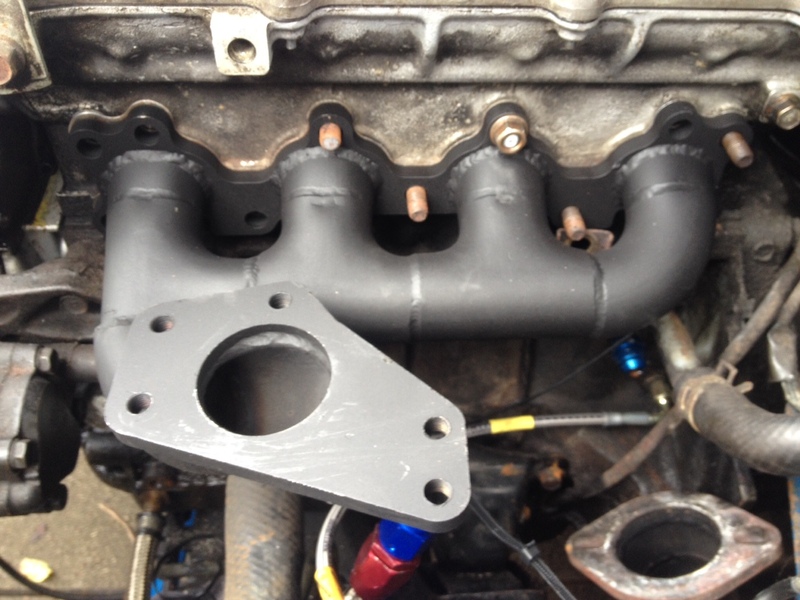 Mazda introduced an EGR valve around the time the the Mk2 came out, if you have the EGR fitted then you will need to blank this off when fitting this manifold.